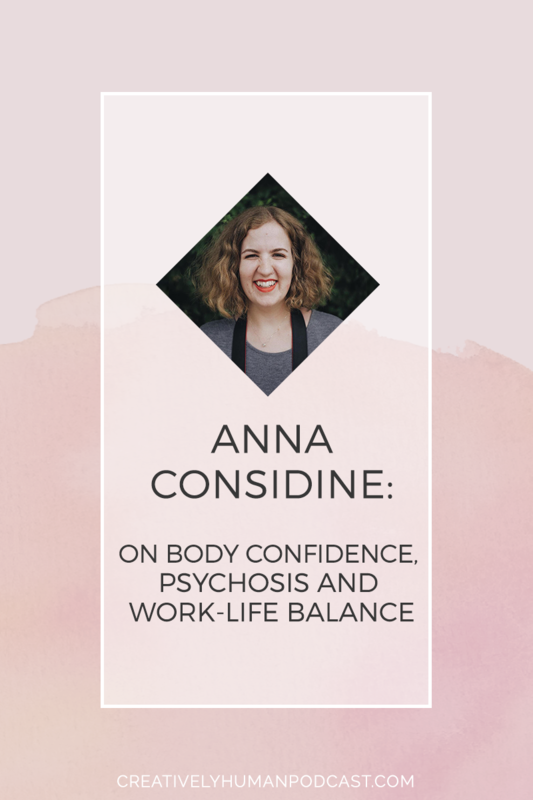 This week’s interview is with Anna Considine and we talk about so much in this episode. I have a trigger warning, as she speaks very openly about her experience of psychosis. Plus we chat body confidence photo shoots, running a multifaceted business online and much more. I honestly loved this week’s chat with Anna, who was just so open about her mental health, and in particular, going through psychosis in 2017. She described what it means and why she shares about it online. And we also talked about her body confidence photo shoots, why they’re so important to her, and more generally about her experience of running a multifaceted business online. I hope you like listening to it as much as I liked recording it! Trigger warning: Anna speaks candidly about her experience of, and recovery from, psychosis in this episode. I’ve kind of got to the headspace where I don’t really mind if people unfollow. And I don’t really mind if people come along, see me talking about mental health and think “oh no actually that’s not for me”. Because I’d rather have a smaller but more understanding, more engaged group of people who totally get it and want to be part of it. Rather than worrying about appealing to absolutely everyone. I’ve spoken to all of my clients, all of them know I’ve had a psychotic episode, and none of them care – in the best way possible.